If you’ve found your ideal wall tiles or floor tiles within our vast selection, you naturally want to ensure that your investment is looked after moving forward. In a household setting, your tiles are bound to encounter wear and there’s the potential for incidents such as spillages and for marks to be made. There’s a natural desire therefore to clean and care for stone tiles. 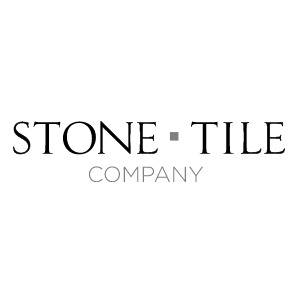 This is why a purchase from Stone Tile Company’s range of sealing and cleaning products is such a good idea when it comes to protecting your tiles and ensuring that freshly-finished look lasts for as long as possible. You can get hold of natural stone impregnating sealer products that are designed to enhance the colour and texture of the stone, while also protecting against stains and dirt. These sealers are suitable for use on slate, limestone, travertine, marble and mosaic tiles, and can also be used as grout sealer. Our range also includes a number of high-quality tile cleaning products. These can clean and get tiles looking like new without causing any damage to the surface. These work really well with tiles that have had sealer applied to them, and won’t strip any of the sealer. So if you’re in need of tile floor cleaner for example, you’re in the right place. We also stock products designed to clean grout. The parts of floors and walls that are grouted are susceptible to dirt build up, so this type of product is a sound investment. By applying sealers and cleaners to your tiles consistently once they are in place, you can protect them and make the most out of your purchase moving forwards. Also, be sure to take a look at our adhesives and grout offering, and if you have any questions about our products or how to take care of them, give our experts a call on 01530 8111118.